Missed a webinar and want to catch up? Need to review what you learned? The Community Cats Podcast is thrilled to offer webinars so individuals and organizations can learn from each other and discover new ideas. In this fast paced world it can be hard to attend or you may want to rewatch a webinar to review the details. Not to worry! We are thrilled to offer you the chance to watch recordings of our full webinars here on our site. Please be patient, videos may take some time to load. When your ready, just press play in the grey bar at the bottom of any video to start. Drawing from almost 20 years of experience working with feral cats, the folks at Neighborhood Cats have gathered together their favorite ways of catching the wiliest of felines. Whether it's putting in a clear rear door, using Spam as bait, wrapping your trap with green garden netting or training a cat to enter a trap, you're bound to learn something new that will improve your trapping success. Come prepared to share your secret tips and tricks, too! 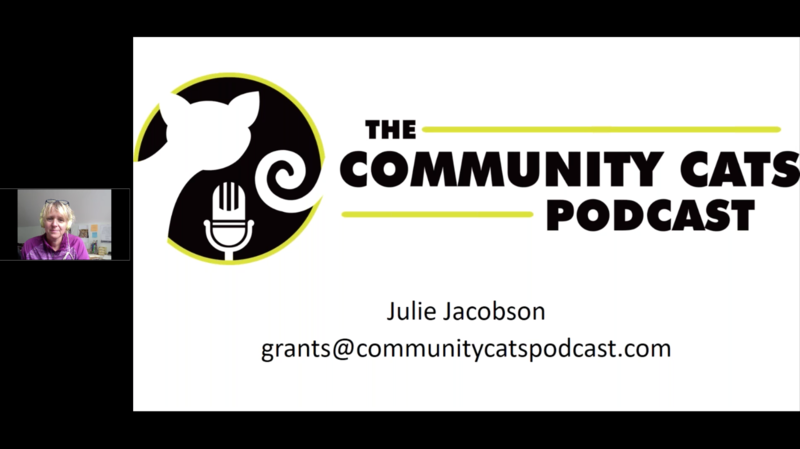 Learn more about the our grant program with program manager Julie Jacobson of Spay Tennessee and Stacy LeBaron, host of The Community Cats Podcast. 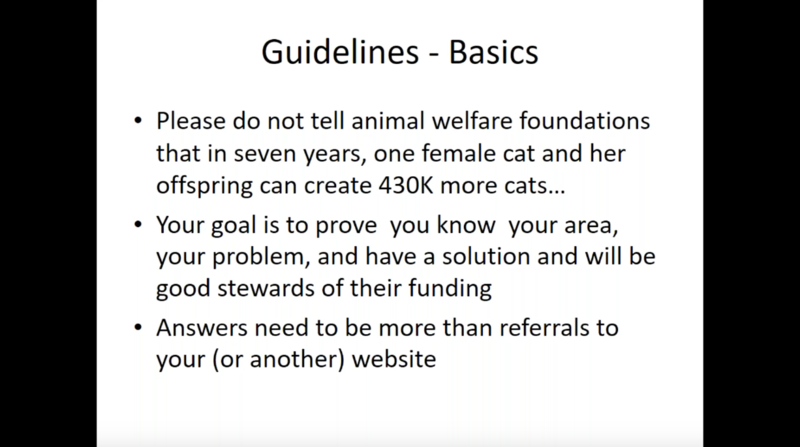 Learn how your organization can find and access grants to supplement donations and fundraisers and help you reach your goals with presenters Julie Jacobson of Spay Tennessee and Stacy LeBaron, host of The Community Cats Podcast. 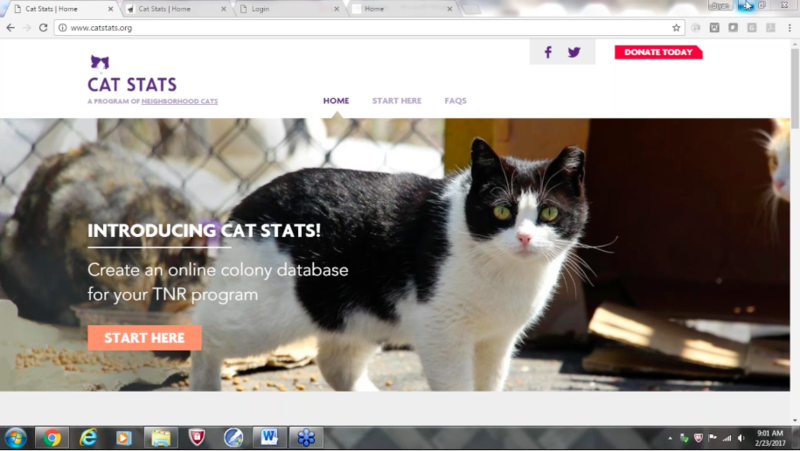 Learn more about how your organization can utilize catstats.org to better manage colonies with presenters Bryan Kortis of Neighborhood Cats and Stacy LeBaron, host of The Community Cats Podcast.